When we think of brushing we tend to think hair or teeth, however there’s another part of the body that benefits from this practice- our skin. Dry brushing is a technique that has been around for centuries, and for good reason. 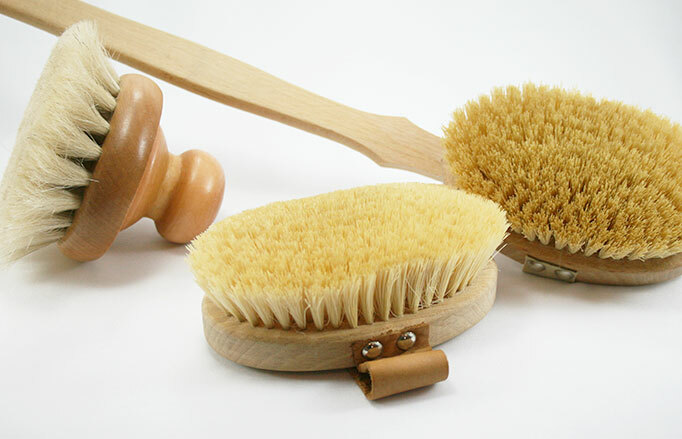 So what is it exactly, and what might the benefits of dry brushing be? Dry brushing is an easy self care tradition that’s been popular with various cultures around the globe. By taking a firm, natural bristle brush and softly brushing dry skin, you can reap both external and internal benefits. This simple routine helps exfoliate away dead skin cells and stimulate oil glands. This allows the skin to perspire freely and better absorb products which results in brighter, smoother skin. It is also known for helping to redistribute fat deposits, reducing the appearance of cellulite and improving muscle tone which can contribute to a more youthful, healthy appearance. Internally, the delicate brushing aids lymphatic drainage and supports the nervous, digestive and circulatory systems ability to function properly. By stimulating these systems, the body has an increased capacity to eliminate toxins, strengthen immunity and support healthy cell renewal. Talk about achieving a glow from the inside out! It’s recommended to perform dry brushing once or twice daily, preferably in the morning before the shower. Starting at the soles of your feet, work upwards using about 10 light, brisk strokes per section. Always brush toward the heart/center of the body and focus on the armpits as these are important lymph drainage points. When in doubt, refer to a chart like the one above for guidance. This routine should take approximately 10-20 minutes to complete. With freshly brushed skin, head into the shower to lather with Soap Supérieure to reintroduce moisture and finish cleansing away any flaked skin. Once refreshed, follow with Body Crème Supérieure that will leave your skin feeling and looking silky smooth from shower to shower. The luxurious emollients and extracts of edelweiss, rosehip and jojoba nourish and revitalize the skin for lasting radiance. Taking the time to slow down and connect with our bodies is so important for overall health and wellbeing. 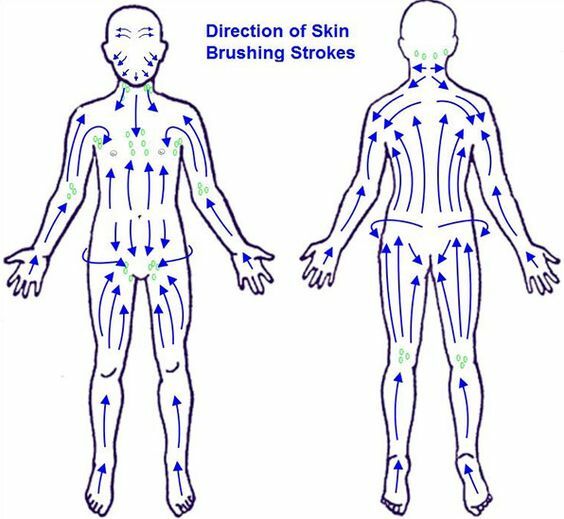 By incorporating dry brushing into your routine, you’ll notice that you and your skin will be able to breathe with ease. So break out the brushes and (gently) scrub away the old to reveal glowing skin and a refreshed spirit. Please Note: Most health food stores have a selection of brushes for your convenience. To shop and compare online, check out the link here discussing the 10 best dry brushes. Opt for a softer brush if you choose to brush your face. A brush with a handle is great for those hard to reach places. The skin will appear flushed after brushing, but if it becomes red or irritated try using a lighter touch. Sensitive skin types may want to use dry brushing sparingly or opt for a detoxifying salt bath instead. Be sure to clean your brushes every 1-2 weeks and enjoy the process! This is an interesting article but where do we buy the brushes? Hi Nancy, great question! These types of brushes are available online and at most health food stores so they are very easily accessible. Well explained & love all your advice on maintaining a good face skin & wish could be your customer for your pure facial products. Our pleasure! Thank you for reading.